Substrates for digital printing – Nuenka S.L..
Do you want to follow the latest vintage and rustic trends? 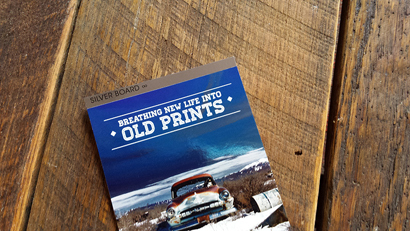 Add personality to your brand by printing on natural wood sheet. 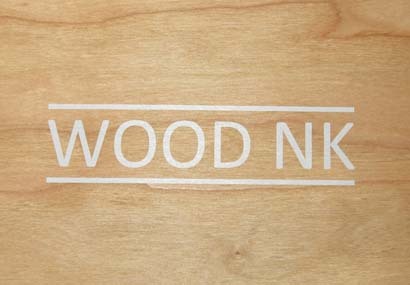 The Wood NK product line offers material that allows you to print in real wood. Available in cherry or birch, Wood NK adds personality to printed materials and can be used for virtually any application. The natural wood sheets are compatible with the following digital presses: HP Indigo S2000 series, 3XXX, 5XXX and 7XXX, Xerox iGen and ColorPress 800 or 1000, Ricoh C901, C71xx and C91xx. If you have a different digital press or if this is the first time you are running a wooden sheet, we recommend that you perform a test. The Silver Card product line has a good reflectivity and excellent brightness. The printing capacity and material properties are an excellent option for the application of your client. The Luxe Pack product line features soft touch material for digital presses and does not require coating subsequent to the printing process. The sensory appeal of this substrate attracts the client’s attention with a different product, velvety and luxurious feeling. It is a profitable short-term option for a variety of print applications. 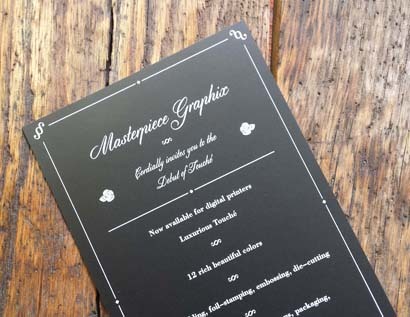 Including menus, business cards, packaging and more. The Xquisite product line presents synthetic paper with extreme tear strength and durability of plastics. Using advanced technologies, our synthetic paper combines the best print performance with the adhesion strength of the lamination. Do you think you know the synthetic paper? Take another look. 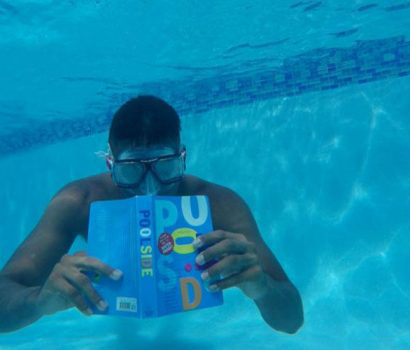 With its resistance to water and chemicals, Xquisite synthetic paper gives durability to any application. 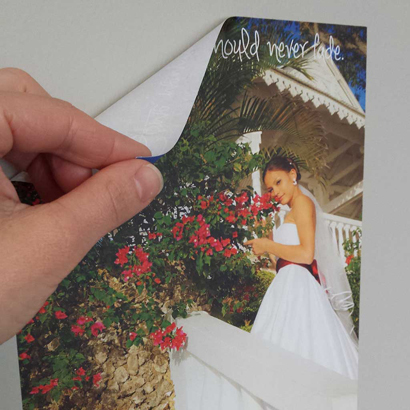 Easy to handle, synthetic paper can be cleaved, laser die-cut, folded and perforated. Customers are attracted to the bright white finish, soft touch and flexibility. The Xquisite Synthetic Paper has been tested and confirmed for use in HP Indigo, Ricoh and Konica Minolta printers, and is compatible with most commercial digital presses such as Xerox, Kodak, MGI and Canon. 100% Polyester Fabric, never loses adhesion, applicable several times, easily adheres to any surface. Indoors or outdoors, it does not appear, it does not rip, it does not wrinkle, repositionable. It does not melt or extend, it does not shrink, the adhesive does not leave residues on most surfaces when it is removed. The property of the adhesive does not change over time. Compatible with Dry Toner and HP Indigo printers. It is recommended to carry out tests. It adds depth and brightness to the applications of labels and adheres well to many surfaces including glass and stainless steel. Making attractive, exclusive and durable bedding labels will no longer be a problem with the Silver Adhesive Polyester label. Able to overcome the stress of the production process and to withstand the cold and humid conditions of storage. Certificate for use with Color-Logic Process Metallic Color System.